What Are the Best White Jeans for Women?These 15 stylish women told us about the best white denim. What Are the Best White Jeans for Women?These 14 stylish women told us about the best white denim. 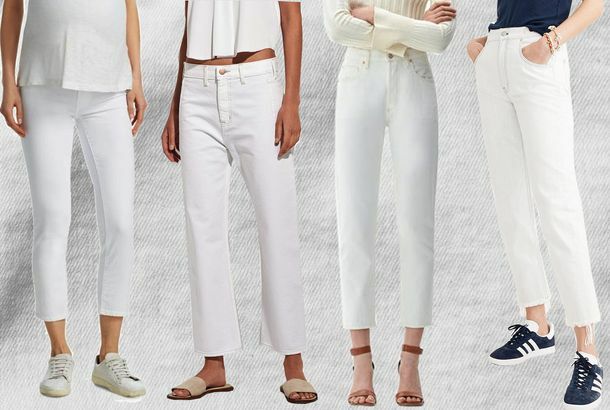 Testing the Best White Jeans to Wear All Year RoundWhen it comes to white denim, the only rule is that it should flatter you. Outfit of the Week: Wear Head-to-Toe WhiteLiving out summer to its fullest. A Guide for What to Wear Under White Clothing Practical undergarments. How to Find Your Perfect Pair of White JeansA handy guide.